Throughout the year, the Pennyrile Elder Abuse Council continues to spread the word about protecting America’s vulnerable aging population. This is accomplished through pamphlet distribution and by conducting trainings for civic organizations, fire departments, police departments, long-term care facilities, service organizations, or one person at a time. If you or your organization would like to see a presentation on elder abuse, please, contact Cindy Tabor at 1-800-928-7233 or 1-270-886-9484. Download the Prevent Elder Abuse Flyer here. Meeting dates vary. Call Cindy Tabor for meeting dates and times. 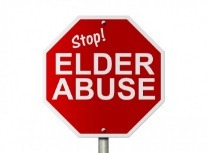 On May 26, 2004 the first meeting of the Christian County Elder Abuse Council was held. A small group of community service providers met and discussed ideas to aid in the prevention of abuse to the community elderly. In April of 2005, the Christian County Elder Abuse Council became the Tri-County Elder Abuse Council incorporating Todd and Trigg Counties into the Council. A library of resources on the prevention of Elder abuse was started in October of 2005. The resources include trained personnel to present trainings on the prevention of Elder Abuse to first responders and area agencies that deal with the elderly. Training for local firefighters, EMS personnel, police departments, area nursing facilities, civic organizations and Senior Citizen Centers began. These trainings continue to be offered throughout the entire Pennyrile Region of Kentucky. March of 2006, Hopkins and Muhlenberg counties become a branch of the Elder Abuse Council. These two counties, because of logistics, did not join the Tri-County branch. On January 31, 2007 the final four counties of the Pennyrile Region of Kentucky (Caldwell, Crittenden, Livingston and Lyon counties) banded together and became the Quad-County Elder Abuse Chapter. The Pennyrile Elder Abuse Council became a non-profit organization in 2007. The Board of Directors was seated at a meeting on February 14, 2007. Each of the nine counties in the Pennyrile region has a representative on the Board. There are three chapters under the Council. The chapters include: Tri-County Chapter which includes Christian, Todd and Trigg Counties, the Hopkins-Muhlenberg Chapter, and finally, the Quad-County Chapter that includes Caldwell, Crittenden, Livingston and Lyon Counties. Each Chapter of the Council includes representation from CHFS, Long-Term Ombudsman, Senior Citizens Centers, Fire Departments, Local Police Departments, State Police, District Attorney’s offices, County Attorney’s offices, area hospitals, Personal Care Homes, Nursing Homes and concerned citizens. On September 26, 2010, the council received recognition from the Southeastern Association of Area Agencies on Aging for the work the Council has done to promote elder abuse awareness in the region.